Each grade participates in music class twice each week. We cover the fundamentals of music using a wide variety of performance opportunities, both vocal and instrumental. In addition to singing and dance, students have the opportunity to play a wide variety of instruments such as percussion (including Orff instruments), handbells, and dulcimers. 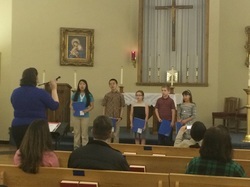 In addition, students in Grades 4-5 learn to play the recorder, and students in Grades 6-8 study the guitar. Choir meets after school on Mondays from 3:00-4:00 p.m. and is open to all students in Grades 3-8. 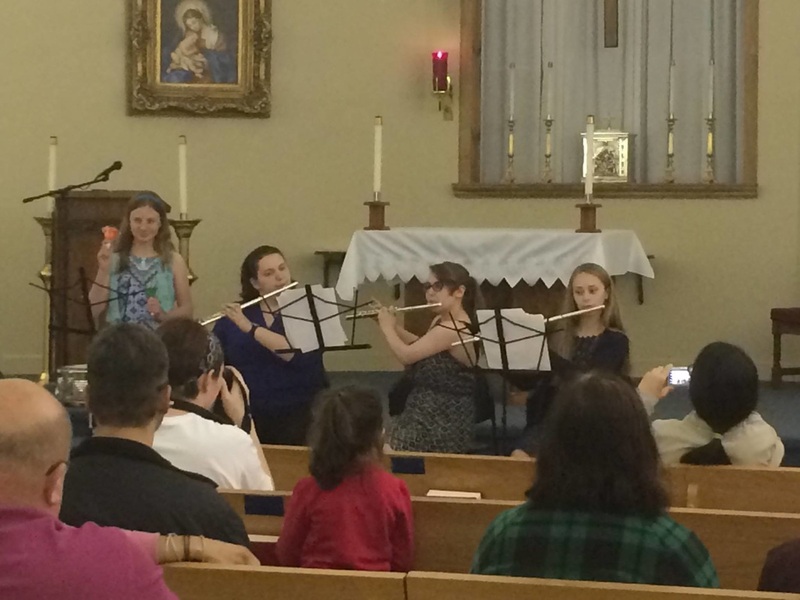 We perform at all school Masses, as well as select weekend Masses at Immaculate Conception Church. Beginning Band meets after school on Tuesdays from 3:00-4:00 p.m. and is open to all students in Grades 5-8 who have no experience with a woodwind, brass, or percussion instrument. Advanced Band meets after school on Thursdays from 3:00-4:00 p.m. and is open to any students in Grades 6-8 who have a minimum of one year of experience with a woodwind, brass, or percussion instrument.